The Life and Adventures of Santa Claus (Kobo eBook) | Copperfield’s Books Inc.
L. Frank Baum’s The Life and Adventures of Santa Claus was first published in 1902, two years after his Wonderful Wizard of Oz. Drawing on the attributes of Santa Claus from Clement Moore’s 1822 poem “A Visit from St. Nicholas” (“The Night Before Christmas”), Baum chronicles Santa’s life from his childhood in an enchanted forest—the same forest that is the source of all magic in the land of Oz—to his destiny of sharing gifts and spreading love to his fellow man. Along the way we witness him making his first toys, learn the origins of the Christmas tree and Christmas stockings, and discover the stories behind many Christmas secrets, like why Santa slides down chimneys, how he picks his reindeer, and how he delivers all his toys in one night. Later adapted into multiple animated films, and published here with the original illustrations from the first edition, The Life and Adventures of Santa Claus evinces the charm, warmth, and fantasy that made L. Frank Baum’s Oz stories American classics. Give the gift of literature this Christmas. 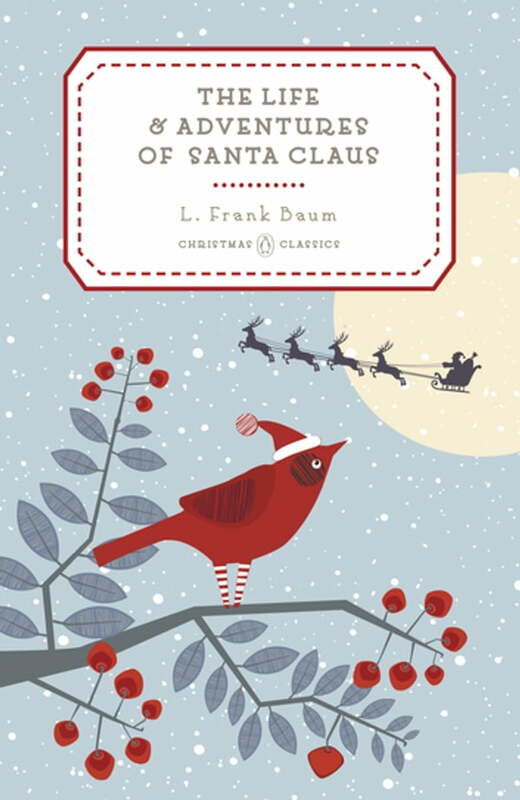 Penguin Christmas Classics honor the power of literature to keep on giving through the ages. The six volumes in the series are not only our most beloved Christmas tales, they also have given us much of what we love about the holiday itself. *A Christmas Carol *revived in Victorian England such Christmas hallmarks as the Christmas tree, holiday cards, and caroling. The Yuletide yarns of Anthony Trollope popularized throughout the British Empire and around the world the trappings of Christmas in London. The Life and Adventures of Santa Claus created the origin story for the presiding spirit of Christmas as we know it. The holiday tales of Louisa May Alcott shaped the ideal of an American Christmas. The Night Before Christmas brought forth some of our earliest Christmas traditions as passed down through folk tales. And The Nutcracker inspired the most famous ballet in history, one seen by millions in the twilight of every year. Beautifully designed hardcovers—with foil-stamped jackets, decorative endpapers, and nameplates for personalization—in a small trim size that makes them perfect stocking stuffers, Penguin Christmas Classics embody the spirit of giving that is at the heart of our most time-honored stories about the holiday.